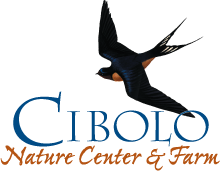 This class covers research on great blue heron rookeries and explains how the Cibolo Preserve project adds to this body of knowledge. The class will be held at the Herff Farmhouse located at 33 Herff Road. After the presentation, the group will visit a rookery site on the Cibolo Preserve. Please come and bring a friend. You must take this workshop if you want to volunteer in this position. This is a popular program, so slots will fill up fast. Returning monitors are free. If you're new to Heron Rookery monitoring, a $10 suggested donation is requested. You can register below! If online registration has closed you can still attend the workshop. Please arrive a few minutes early in order to complete and pay your donation. Thank you. This form stopped accepting submissions on January 14, 2019 4:30 pm CST.